Today I’ve spent some time fixing issues on my parents’ computers – on both of their computers, Internet Explorer froze and crashed at startup. 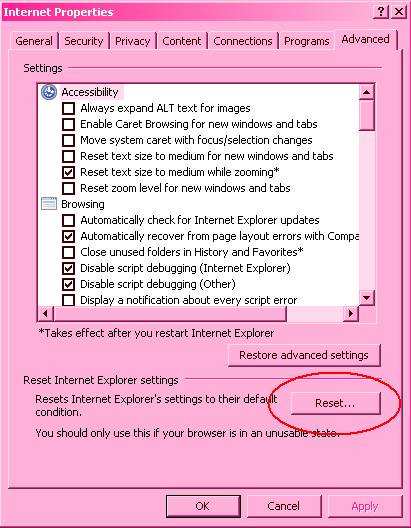 It gave a message asking whether to restore the previous session or going to the start page, but clicking either would still crash the Explorer. Now, my mom uses FireFox and from now on, so will my dad (finally), but having a program on your PC with a problem just isn’t a nice thing. This should have fixed the problem!